Random vibration is vibration that can be described only in a statistical sense. The instantaneous magnitude is not known at any given time; rather, the magnitude is expressed in terms of its statistical properties (such as mean value, standard deviation, and probability of exceeding a certain value). Examples of random vibration include earthquake ground motion, ocean wave heights and frequencies, wind pressure fluctuations on aircraft and tall buildings, and acoustic excitation due to rocket and jet engine noise. These random excitations are usually described in terms of a power spectral density (PSD) function. NX Nastran performs random response analysis as a post-processing step after a frequency response analysis. The frequency response analysis is used to generate the transfer function, which is the ratio of the output to the input. The input PSD multiplies the transfer function to form a response PSD. The input PSD can be in the form of auto- or cross-spectral densities. Random response output consists of the response PSD, ATOC (autocorrelation functions), number of zero crossings with positive slope per unit time, RMS (root-mean-square), and CRMS (cumulative-root-mean-square) values of response. RMS and CRMS output can be scaled using the parameter RMSSF. 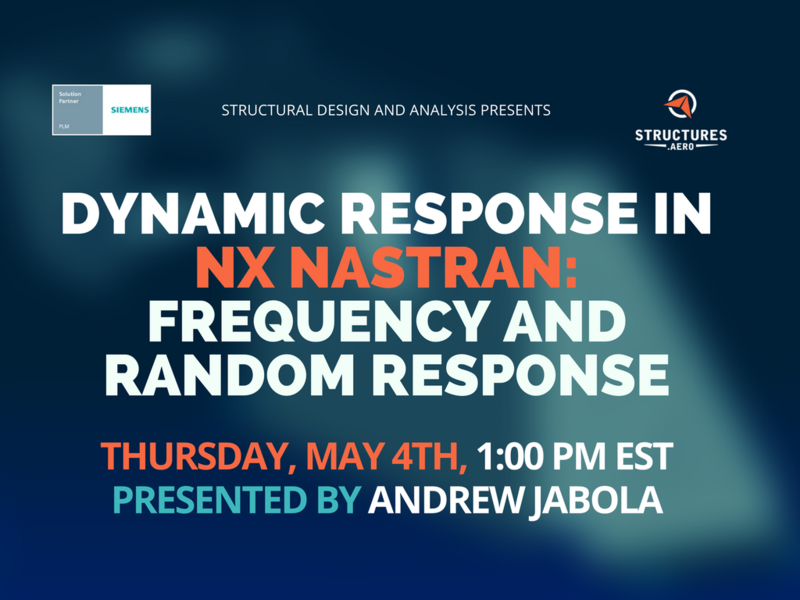 This webinar covers several solutions included in the NASTRAN Dynamic Analysis add-on, focusing on frequency response and random response.  These are both very typical analyses in the aerospace industry. 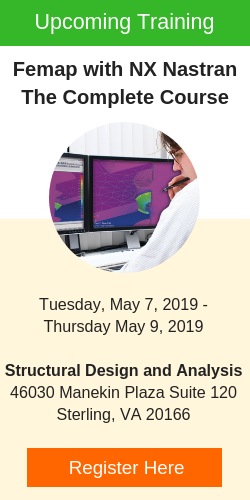 We will show how to setup the analysis for both sine, vibe, and random within the Femap pre- and post-processing environment. Post-processing will be shown through the charting tool, showing excellent ways for looking at responses of various points of interest.